Harrison Home Systems is a turnkey electronics systems design and integration firm. We believe technology should simplify your life, not complicate it. That's why we'll design your custom electronics system to be convenient, intuitive and easy to use. From a fully automated home to a simple media room, we take great care in designing systems that improve the quality of your life and enhance the beauty of your space. One touch control of your entire home from your smart device. We integrate all of your home electronics systems onto a single app. Bring entertainment home with cutting edge equipment and the best video content available at your finger tips. Controllable window shades save on heating and cooling costs by blocking or allowing the sun's rays depending on the time of day and the season. Lighting control systems simplify your lifestyle and reduce energy costs. We design lighting scenes to set the perfect light levels for any activity. Incorporate high-performance sound throughout your home from your favorite music sources. HVAC integration into your control system provides effortless energy savings at your finger tips. Monitor and record the activity in and around your home and view it from any smart device. Protect your home with a security system controllable from any smart device. Make the most out of your home electronics system by including a robust home network. 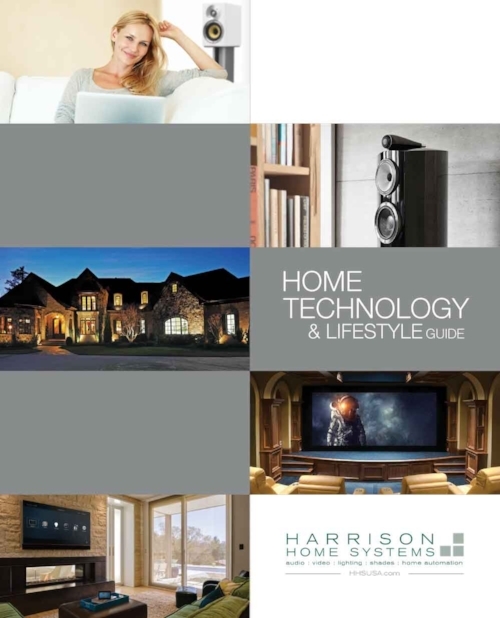 View our digital Home Technology Guide.